Our sweet dogs are part of our family…. don’t miss out on a fun and stylized Pet Session. We will head to the park, the beach, your backyard and capture special moments that you will cherish forever. Contact us today for SPECIAL PRICING! 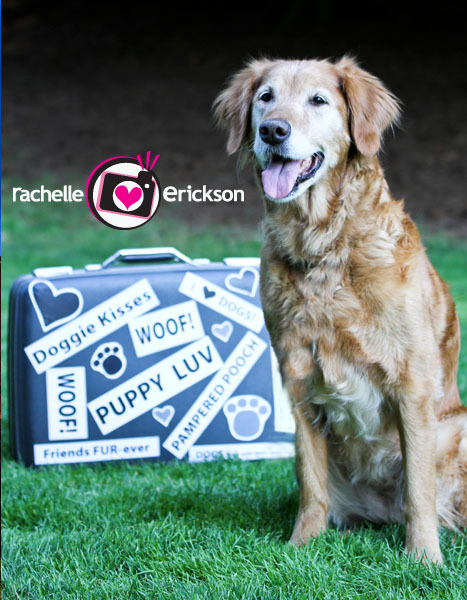 Rachelle Erickson is an award winning Wedding and Lifestyle Photographer specializing in Wedding Photography, Parties, Special Events, Senior High School Grads, Children’s, and Families for Seattle, Bellevue and the surrounding cities. Reaching the Pacific Northwest to destination locations worldwide. For more information, please email info@PhotosByRachelle.com, or call 425.829.0532. You can never can have to many family photos taken and this was an extra fun session as there were two families! Allie won a FREE Family Session that I gave away at the gorgeous venue at one of the Bear Creek Country Club events! We had our Photobooth / PhotoFUN set up and they were the lucky winners! This darling family was all decked out in darling outfits and each one of them were just so sweet! Thanks again! I loved meeting all of you! Nancy and Shane tied the knot and I wanted to share a few SNEAK PEEKS at the The Weyerhauser Estate in Tacoma! Amazing couple, breathtaking castle for the venue, and a perfect day! Thanks so much for letting us share in your BIG DAY! I loved every second of it! Hope your having the time of your lives in MAUI! Thanks so much for having us share in your big day! We heart the BLUE here in Seattle! Nothing beats the LOUD RUMBLE of the BLUE ANGELS! They are in town for SeaFair this weekend! I went down this morning for their 1st practice here to see if I could catch a view shots. We heart you BLUE! Go Gettem this weekend!